At the time of their construction, the Manhattan and her sister ship, Washington, also built by New York Shipbuilding Corporation, were the largest liners ever built in the United States, and Manhattan was the first large liner built in the US since 1905. The Manhattan and Washington were two of the few pure liners built by New York Shipbuilding, which had previously built a large number of cargo liners. She carried over 1,100 passengers in cabin, tourist, and third class. 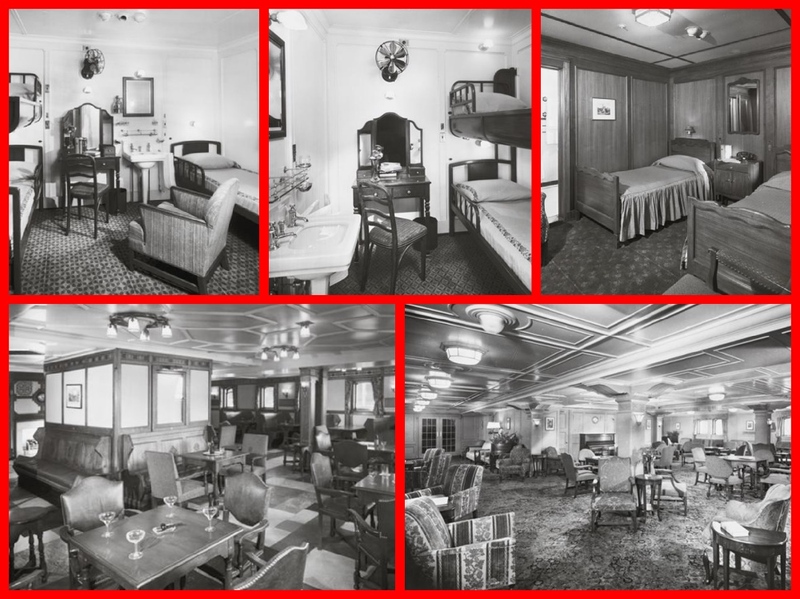 United States Lines signed contracts in 1931 for the two ships at a cost of approximately $21 million per ship. This was considered an extreme cost in the Depression, and a gamble by a man in the passenger liner business. 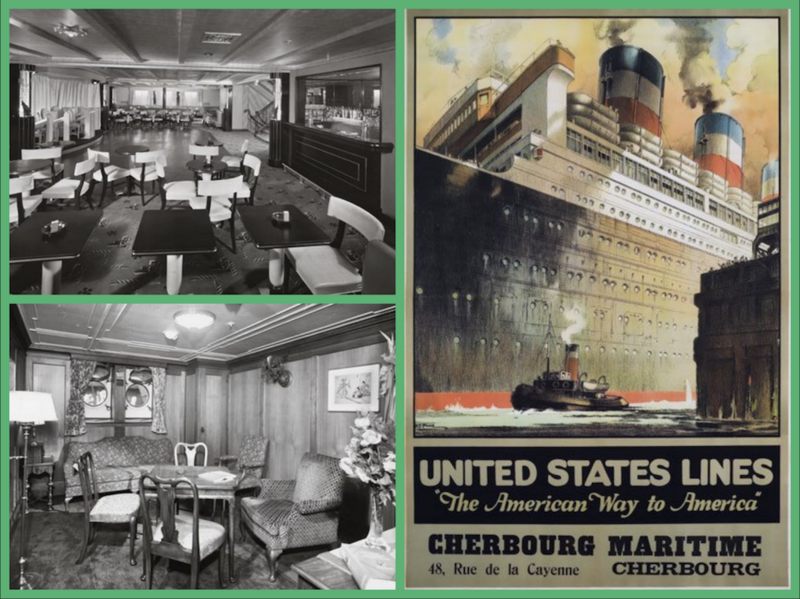 Travel writer Douglas Ward claims in his book “Berlitz Guide to Cruising” that the alcoholic beverage “Manhattan” was named after the ship. However, there is little evidence to confirm this. 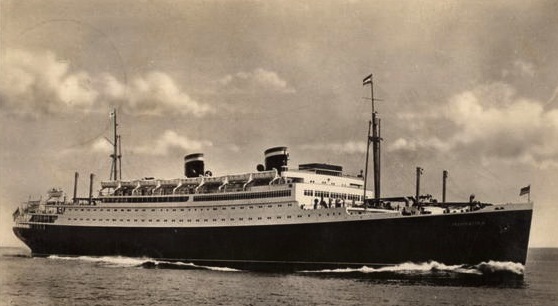 Beginning in August 1932, the Manhattan flew the US Lines flag on the New York-Hamburg route, a route she would continue to serve with only one short break until December 1939, when Roosevelt invoked the 1939 Neutrality Act against Germany. In 1936, the ship carried the US Olympic team to the Olympic Games in Berlin. In 1938, it carried some of the Kennedy family to the United Kingdom when Joseph P. KennedySr., appointed U.S. Ambassador to Great Britain. 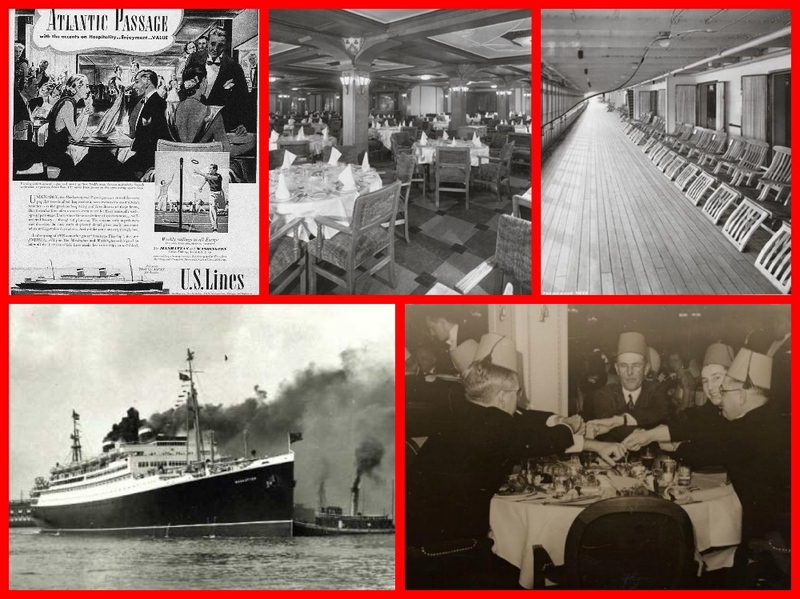 From January 1940 until Italy’s entry into World War II in June 1940, the Manhattan sailed between New York and Genoa. On January 12, 1941, while in coastal service on the Atlantic seaboard, the Manhattan went aground just off the Florida beaches nine miles north of Palm Beach, and was re-floated 22 days later. On March 6, 1941, the commander of the marine inspection bureau suspended the captain and first officer after finding them guilty of negligence in the grounding. The captain received an eight-month suspension while the first officer was suspended for one month. 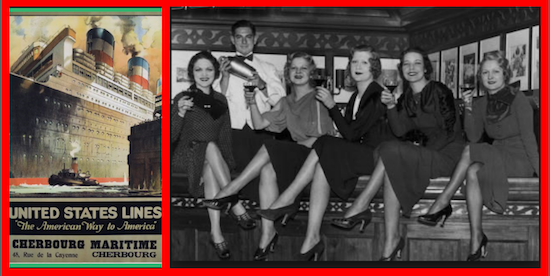 Previous: Labor Day Cruises from New York in 1933 aboard famous trans-Atlantic Liners.